Adaptability -It is easy to replicate the activity for another subject/topic. There is plenty of space for variations. Acceptability- I think other teachers will like it. Users can invite others to the platform and become friends automatically. To invite friends in the platform they hava to navigate to the "Invite a friend" submenu that lies under "Community" main menu. Each type has a link on the main menu. Visiting the page of each type, users will find a link under the page title that helps them to create new content of the selected type. 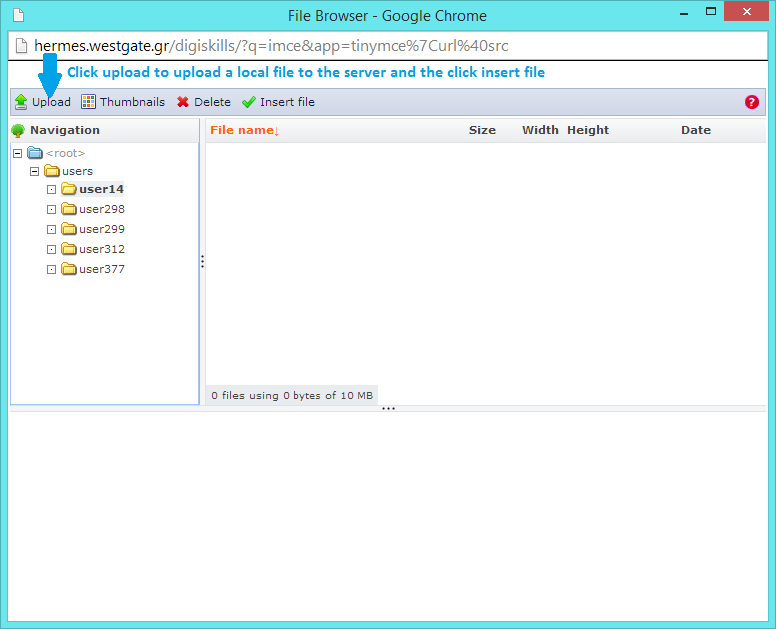 Users can upload media files to the server and place it on any content they create. 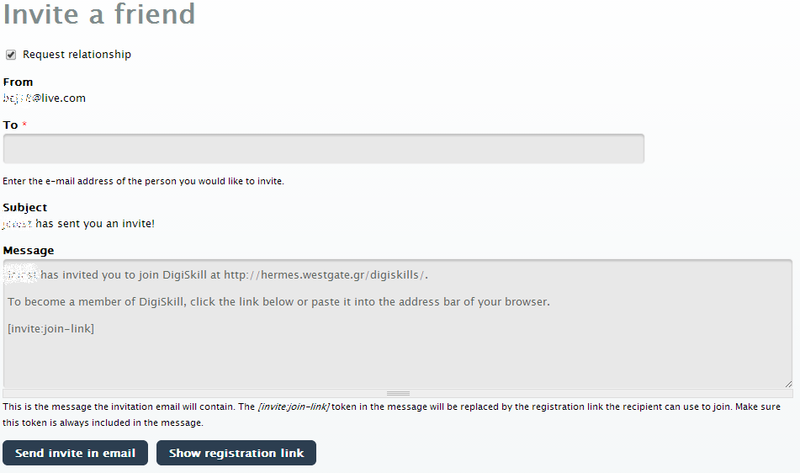 Digiskills offers a simple editor that helps user create their content easily. When new content is about to be created the editor shows up. General. Define attributes and how the image will be displayed along with the text. The images below indicate how the default settings would be for the first two tabs, but users can modify them as they like. Appearance. Define attributes and how the image will be displayed along with the text. The images below indicate how the default settings would be for the first two tabs, but users can modify them as they like. Advanced. The last tab enables users to show different images when the mouse is over the image they are inserting. It’s an advanced tab so users must use it only if they know what to do. To upload a file from the toolbar select a keyword from the text (= a word or phrase that you want to link the file) and click on the link icon. The link browser window will show up. 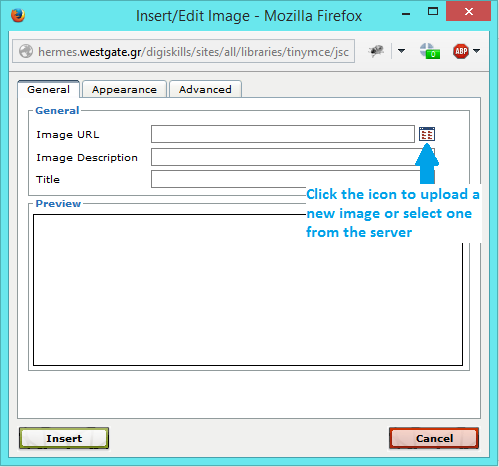 Doing the same procedure as above users can upload any files to the server with a link to them. 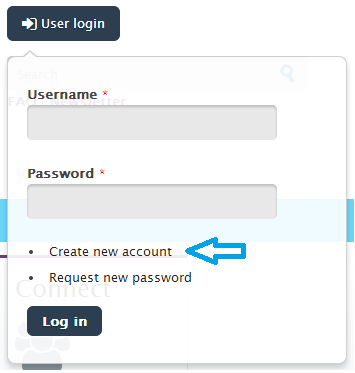 To register to the platform click on the button "Login/Register" on the frontpage and and then the link "Create new account". 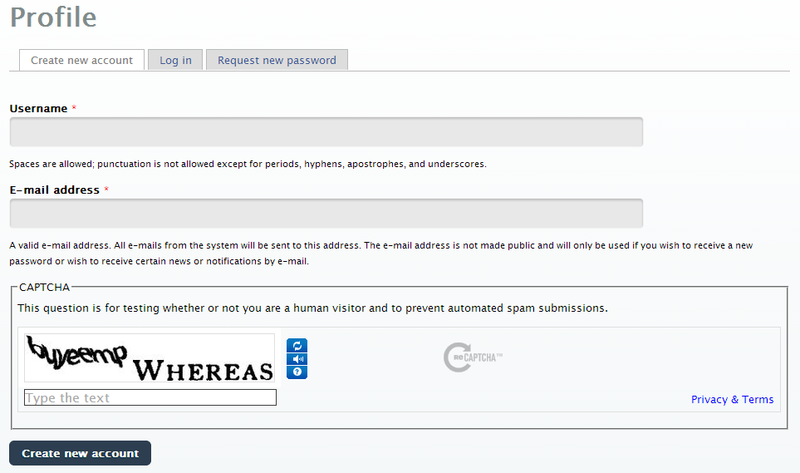 The platform will request a few basic information in order to create the account as the screenshot below shows.